A team of specialists at the University of Goteborg in Sweden have performed what doctors are calling the world’s first mother-to-daughter uterus transplants. 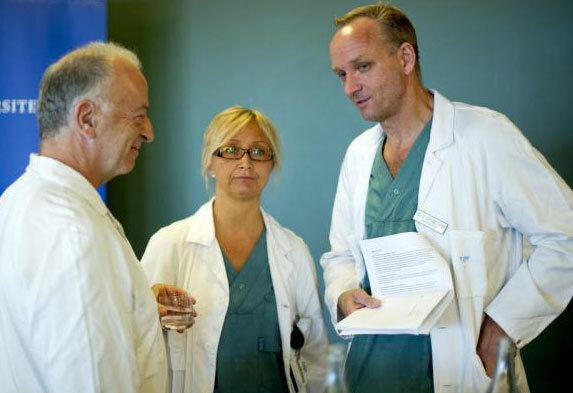 The pioneering procedures were completed “without complications” by more than 10 surgeons over the weekend at Sahlgrenska University Hospital according to a CNN report. Doctors were quick to caution that they will not consider the operations successful unless the women give birth to healthy children. “So far, the procedures have been a success, but the final proof of success will be the birth of a healthy child,” Michael Olausson told CNN. The university cited that one of the unidentified women had her uterus removed many years ago due to cervical cancer, while the other was born without her uterus. Both woman who are in their 30s, will undergo observation for one year before doctors attempt in vitro fertilization (IVF) with their own frozen embryos. “The operations were the first live-donor uterus transplants from mother to child,” Olausson said. According to the university, in Sweden alone, between 2,000 and 3,000 women of childbearing age cannot birth children because they lack a uterus. In the video below — researchers from the University of Gothenburg describe how the transplantation is performed.